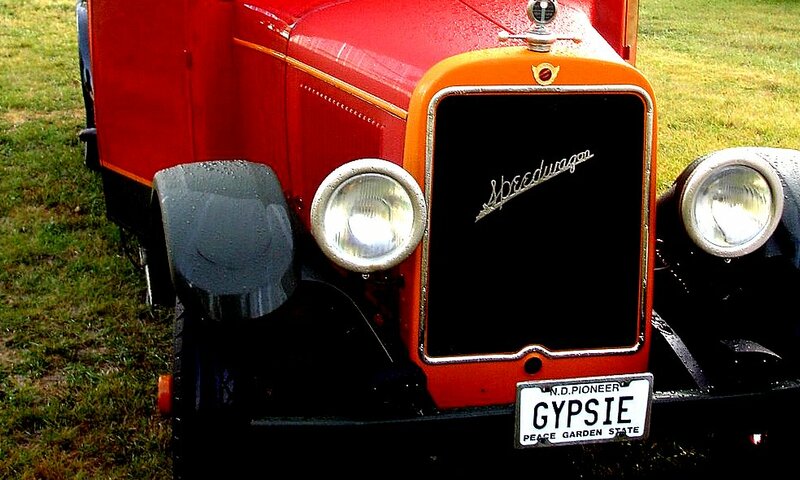 Gypsie, 1928 REO Speedwagon "Camp Car"
The 1928 REO Speedwagon, was made by the REO Motor Car Company founded by Ransom Eli Olds in 1904 after he sold his first company, Oldsmobile. The Lansing, Michigan-based company produced automobiles and trucks (called Speedwagons) from 1904 to 1975. In 1967 the name was borrowed for the R.E.O. Speedwagon rock band by Neal Doughty, keyboardist and founder of the band. 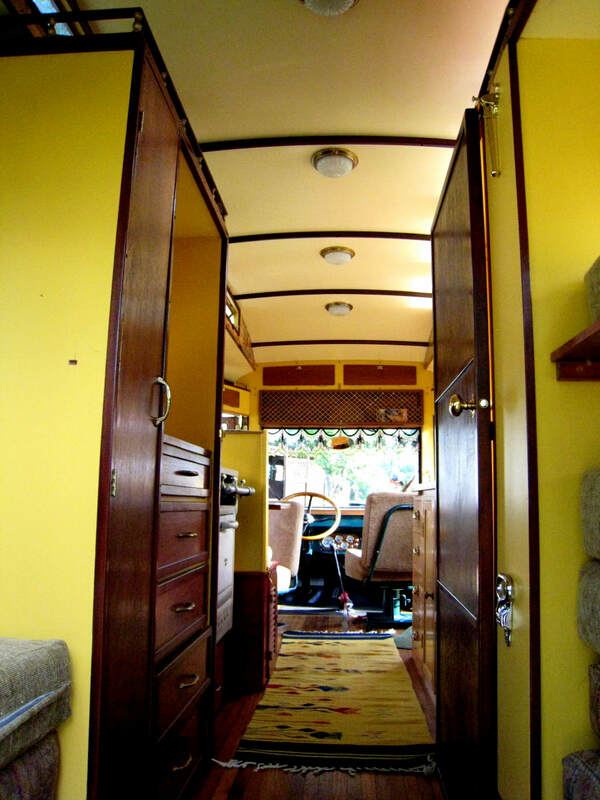 Gypsie was purchased in Sarasota, Florida in 1987 through a classified advertisement. We were visiting Florida between selling our home on St. Croix and before leaving on a year’s tour of Europe and North Africa in a VW camper. We bought the vehicle as a future restoration project with the intention of traveling around the states in the “camp car”. 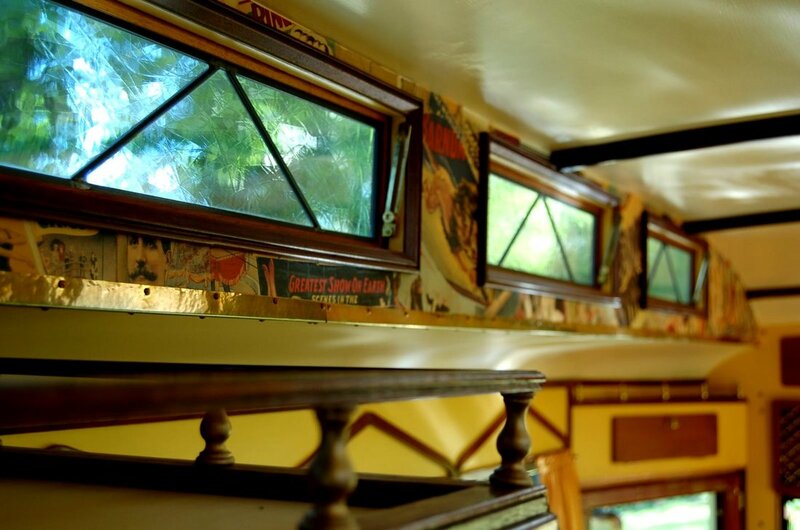 Restoration of Gypsie was a sporadic 19 year project, as our wanderlust kept finding us pursuing new adventures abroad and in the states, thus delaying our efforts. Finally, we finished her a few years back, and if Gypsie could talk, she'd make one captivating storyteller. Today, Gypsie is completely restored and once again seems to attract attention from anyone who catches a glimpse of her brightly painted and highly polished wood finish. Our commitment to the project is not over, but it's tempered with thoughts of happy trails and adventures, traveling about the states. 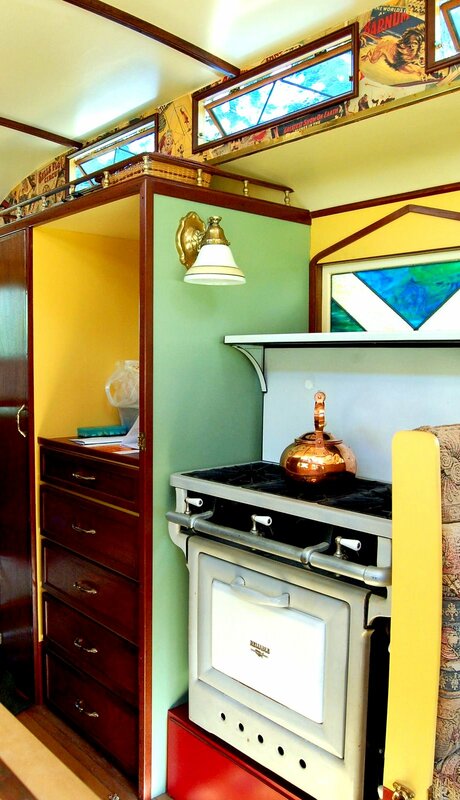 There are so few of these motor homes left, and Gypsie, in particular, has such an interesting history. We're delighted she is back on the road for so many people to see and enjoy. It has been a great pleasure to return her to her previous condition. WANT GYPSIE ON LOCATION AT A SPECIAL EVENT? Drop us a Line. We like Road Adventures.